The 2019 GMC Canyon for sale at Joyce Koons Buick GMC in Manassas, VA – close to Sterling, Fairfax, and Chantilly – is the small, capable pickup truck for your everyday needs. It operates on a powerful 3.6L V6 engine with 308 horsepower and 275 lb.-ft. of torque, as well as a smooth 8-speed automatic transmission with tow/haul mode. The fully-boxed, high-strength steel frame pairs with a standard roll-formed, high-strength steel pickup box to create an incredibly durable truck body. Accessing the bed to load up is made simple with a CornerStep rear bumper and available EZ-Lift and Lower tailgate. Road trips are always pleasant on vinyl-trimmed front bucket seats while using single-zone climate control. 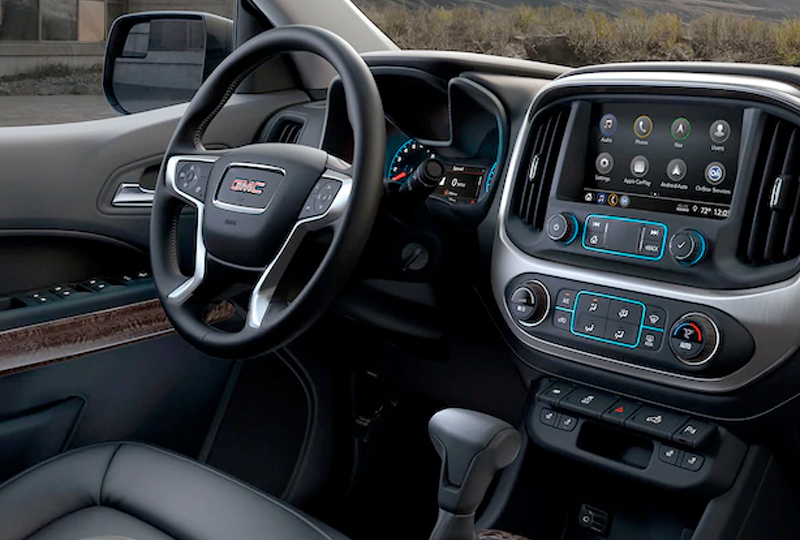 If you’re headed out for some weekend fun, you’ll get an impressive 20 mpg in the city and 30 mpg on the highway.1 You can even bring along a boat or trailer, due to a remarkable maximum towing capacity of up to 7,700 lbs.2 Wherever you go, you’ll be able to use the 7-inch GMC infotainment system with Apple CarPlay™ and Android Auto™ to access convenient features like music or navigation. There’s also a standard Teen Driver system with customizable settings so you can encourage safe practices. 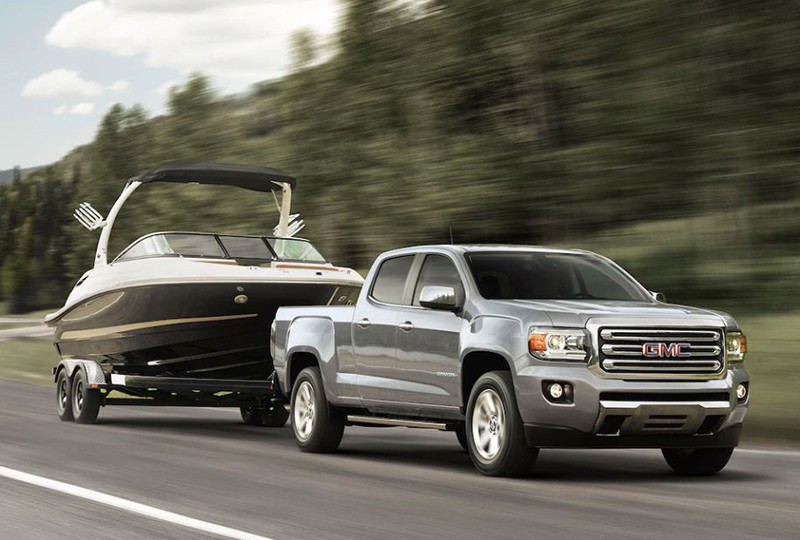 Today is a great day to buy a new 2019 GMC Canyon! Our 2019 inventory is here and new auto loans are at their lowest rates in years. Visit Joyce Koons Buick GMC at 10660 Automotive Drive, Manassas, VA. Drive home the 2019 GMC Canyon you’ve always wanted! 1 EPA estimated 20 city/30 hwy 2WD with the available Duramax 2.8L Turbo Diesel engine. 2 Canyon’s 7,700-lb rating requires 2WD Crew Cab model with available Duramax 2.8L I-4 Diesel engine. Before you buy a vehicle or use it for trailering, carefully review the trailering section of the Owner’s Manual. The weight of passengers, cargo and options or accessories may reduce the amount you can tow. 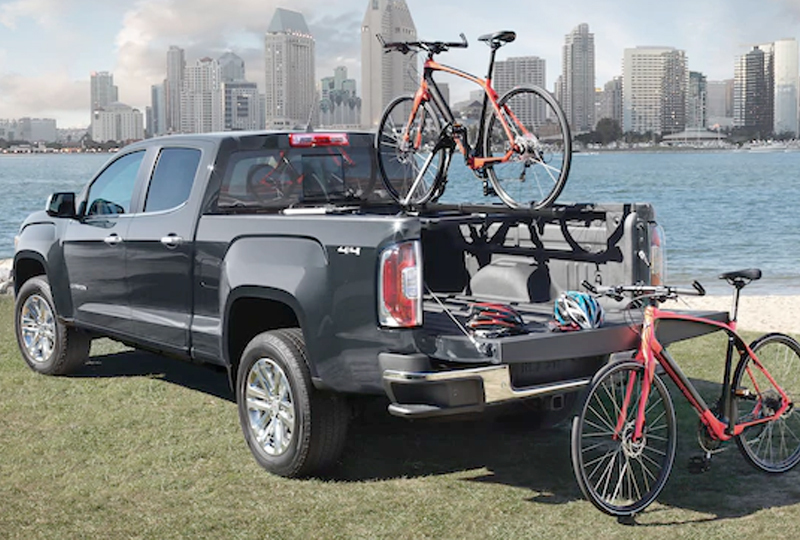 Canyon offers a variety of accessory features to help keep your cargo organized and secure, and make access to it easier than ever. Experience an exceptional level of quiet with the expertly engineered interior that includes triple door seals. For additional control of your trailer brakes, Canyon offers an integrated Trailer Brake Controller. It's located within easy reach of the steering wheel for quick adjustments. The diesel exhaust brake system works with Tow/Haul mode and Automatic Grade Braking to help reduce the amount of braking needed while towing or traveling downhill. Teen Driver is a built-in system that helps encourage safe driving habits for new drivers. 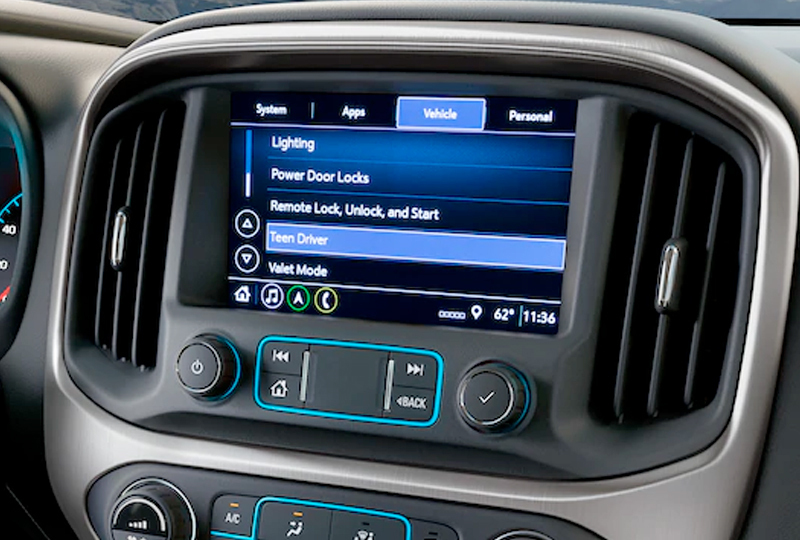 It automatically activates certain available safety systems and allows parents to set limits on other features. An in-vehicle report card provides information on driving behavior to help parents to continue to coach their teens.